As a rule of thumb – just because an influent company says something is safe – or even if the government agrees – it doesn’t automatically make it true. Along the same lines, GMOs are still heavily clad in controversy that has yet to be settled. 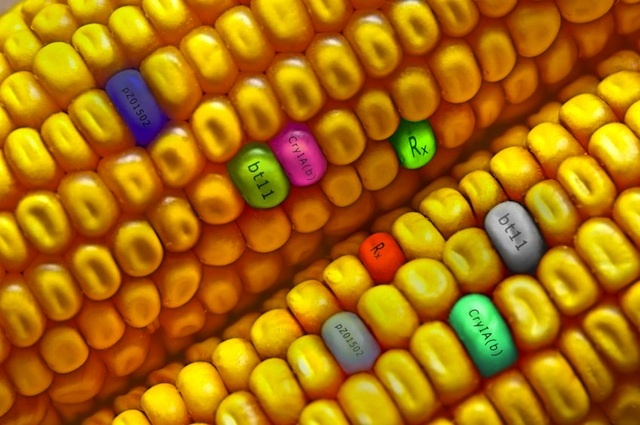 How are GMOs made and what should our stance on their increased prevalence be? Over the last century, the methods for genetically manipulating organisms have improved rapidly. We started from simple selective breeding, moved on to transplanting genes from one organism to another, and now we’ve learned how to edit the genome. Genetically modified organisms (GMOs) are natural organisms that scientists have altered through advanced genetic engineering methods. Although biotechnology and genetic engineering are the best of pals (GM is quite and essential practice), its specific use in crops is highly controversial. It’s a common misconception to think that any animal or plant that’s outside the area of our reference for “natural” is a GMO. We are often inclined to imagine abnormally large tomatoes and cows, but the U.S. Food and Drug Administration (FDA) and the scientific community operates with a much stricter definition. A GMO is an animal or plant that has been created through genetic engineering. In summary, four important steps are involved in genetic engineering: (1) identifying a trait of interest, (2) isolating said trait, (3) inserting said trait into a desired organism, and (4) propagating that organism. All of this is possible thanks to genetic engineering, which describes any biotechnological methods used by scientists to manipulate an organism’s genome. Therein lies the main difference between GMOs and selective breeding. According to the FDA definition, GMOs do not include animals or plants created by selective breeding. They also do not cover animals that have been given antibiotics or hormone supplements. Scientists are often looking to nature to identify a desirable new trait. Critical thinking and luck is often the recipe for a successful discovery of a new genetic trait of interest. For example, if researchers are looking for a trait that would enable the survival of a crop in a specific environment, they would search for organisms that are naturally capable of surviving in that specific environment. Decoding which part of an organism’s genetic makeup features the trait of interest requires comparative analysis. The genomes of plants containing the trait are compared to genomes in the same species without the trait. The goal is to identify the genes present exclusively in the former. In the case of a lacking database of genetic information for comparison, researchers will purposefully “delete” parts of the genome of interest until the desired trait disappears. Due to the fact that plant seeds have a rigid structure, scientists have a tough time altering their genome. Many biotech companies have resorted to “gene guns” to shoot metal particles coated with DNA into plant tissue. Others (such as Monsanto), have moved on from gene guns to naturally invade seeds with a bacteria called Agrobacterium tumefaciens. After the successful insertion of a new genetic trait into an organism’s genome, the modified organism must be able to replicate with its newly engineered genome. Researchers must then check the genotype of the organisms. The desired result is to propagate only organisms in which the genome suffered a correct modification. Voilà! The new GMO is done and ready to exhibit its new desired trait. The most sought-after are resistance to insects or tolerance to herbicides. Now that we know how GMOs are made, let’s take a look at selective breeding. This is an important topic in relation to our food security. Some researchers believe that, in terms of urgency, it’s as important as the issue of climate change. Selective breeding is the process of creating a plant or animal by selecting the desirable characteristics of the parent. For instance, it can mean saving seeds for replanting from plants that have been particularly robust; or breeding a white dog with a black patch over its right eye via two parents with the same trait. Selective breeding is as old as time. We’ve been doing it for thousands of years, even if in different degrees of advancement. More often than not, it’s proven beneficial in leading to many of the food sources we have today. However, selective breeding is not all-powerful – it can really only go so far within species. One example of GMO is taking a gene from a jellyfish and inserting into the zebrafish genome. The result is the glofish – the popular “glow in the dark” fish which are now being sold on the market. Another example is “transgenic” plants, created by inserting genes from bacteria into food crops. The desired result is a crop that can create its own insecticide. It sounds a little freaky, but the situation is even worse in the U.S. Around 70 percent of the food in American supermarkets contains bioengineered ingredients (corn and soy are the most prevalent). However, given that U.S. forbids GM labeling, you might never know what it’s in. There’s no doubt that the GM industry is huge and very powerful, with many complicit agents in government. A lot of high ranking politicians have once worked for major agribusiness and biotech companies before entering office. Even more take a job at the same companies immediately after leaving. You’d be surprised how many of these politicians have gone through this revolving door – working for the company, then working in the EPA or the Department of Agriculture, and then going back to the company. This infiltration has created the perfect context for biotech companies. This way, they can forgo any studies that would be required before releasing these plants onto the market for human consumption. Unlike what some people say, GMOs are not about ending world hunger – it’s all about power and money. One important thing to keep in mind is that the industry is not government driven. It’s not even driven by humanitarian organizations. The main player is private business – companies with invested shareholders.